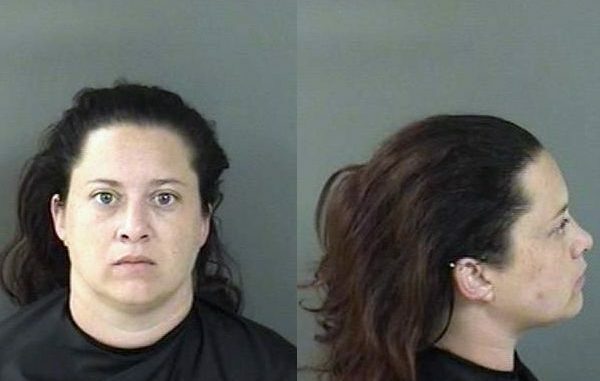 VERO BEACH – The Vero Beach Police Department is looking to apprehend Brittany Rose Taylor, a suspect after they say she injured an officer during a traffic stop on Saturday in Vero Beach. The officer initiated a traffic stop on Taylor and was injured by her vehicle while trying to detain her, police said. The officer was not seriously injured and treated at Indian River Medical Center. Vero Beach Police say the incident happened at 4 p.m. Saturday in front of Shadowbrook Apartments. Taylor was driving a silver 4-door vehicle. A make or model of the vehicle was not available. According to jail records, Taylor was arrested for a probation violation in July. Prior to that, in April, she was arrested for a failure to appear. In July 2016, Taylor was arrested for a probation violation, giving a false name while detained, marijuana possession, and resisting arrest.